India's largest online shopping site Snapdeal will continue to offer discounts on sales as per schedule during the festive season. 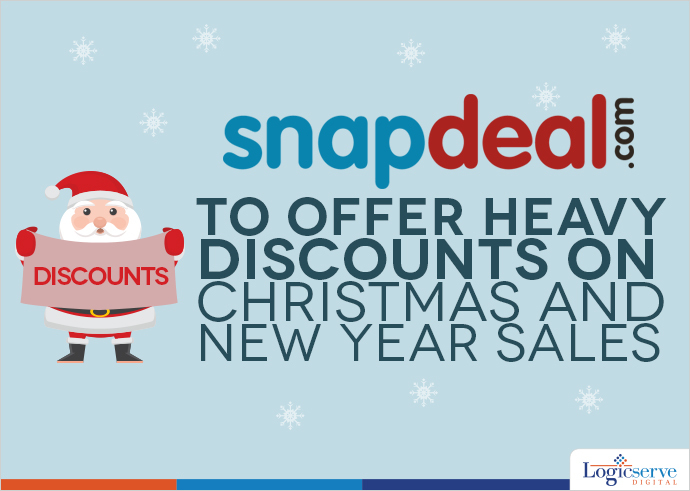 Snapdeal, the largest online marketplace in India continues to roll-out discount-heavy sales during this festive season. Snapdeal paid heavily for Aamir Khan’s remarks, but now the company is all set for a slew and sweep customers off their feet with incredible Christmas and New Year sales. This move can be considered as an attempt by this e-commerce to breach the $100 billion mark in the next 5 years. Senior officials at Snapdeal confirm that consumer confidence seems to return and the Snapdeal app also continues to climb up the ranking. After the controversial remarks by the Bollywood star on ‘growing intolerance in India’, the e-commerce giant had to face the ire of customers which resulted in an app downgrading and uninstallation by over 25,000 users. Soon Snapdeal distanced itself and issued statements stating that the remarks were made by its brand ambassador in his personal capacity. Surprisingly, the app now has an average rating of four on Google Play Store and on November 28, it ranked at 24, much higher than what it was on November 21. There are so many speculations but still it’s ambiguous whether the issue actually affected the e-tailer negatively. Meet us at ad:tech 2017!